TimboNJ, stefanorickeets and Reflexx like this. Still could use a bit more polish. Hoping that the build released next week will have some further tweaks to performance included. I'm actually yet to get on the builds but based on the reports of the just released build, I might jump in on the next build expected next week. I have a 640 too. Did u hard reset at all? Has anyone tried Wi-Fi calling on this build ? (T-Mobile) Does it work ? When is the RTM live version supposed to finally be released? I concur, this build has been running really smooth on the 640. It kinda reminded me of the similar performance on the 950XL I played with a couple of weeks ago. Dang !! I was hoping for Wi-Fi calling on this build. You should see the option in SIM/Cellular settings. 640 is my daily driver and there's virtually no signal at my location. 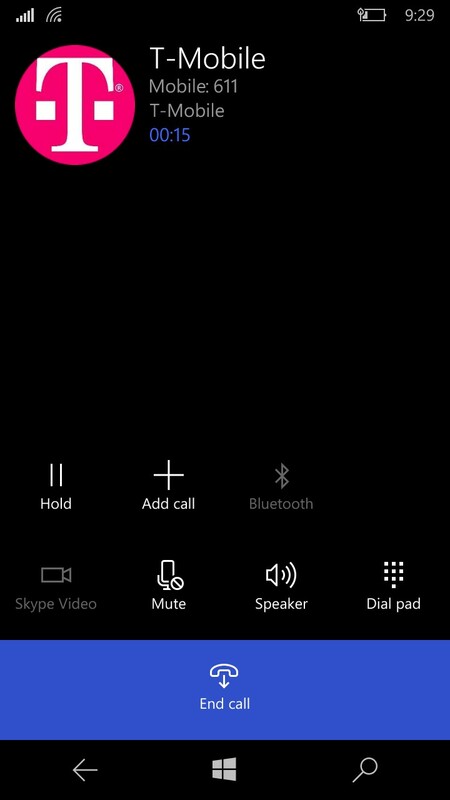 Hope MS releases a build with working Wi-Fi calling. pankaj981, Glad Bernard and xandros9 like this. Will try a wi-fi call sometime soon and let you know. Did you install Office? If yes how? I wish to try Build 10581 but need MS Office. Tested the latest build and found MSOffice was pre installed. For some reason my earlier WP10 build was missing MSOffice. So install or not !!!! If all of your settings and passwords are synced with Microsoft, I say go for it. If you find anything that is unacceptable for you you can revert back fairly painlessly (just your time and most of that waiting). I personally like it and it works as a daily driver for me. I would suggest waiting for a "few" more days since the RTM build 10586 (hopefully) would be rolling out to Insiders this week. That would save you an additional hard reset in case something doesn't work as expected. LumiaGuy and xandros9 like this. On my 925 I have the 581 Build is tis not available for the 640 ? I got y phone last saturday, and I was going to wait until .586 build is released but.. I used W10M for over 2months on my Lumia 630.. Now installing W10M, I can't stand some things on 8.1 so.. Maybe I'll need to hard reset on a couple days, but it won't stop me to install and enjoy Win10 on 640.. Will leave my impressions on the coming days.. If I find any bug will leave it ATM! Just installed it on my Lumia 640. It's awesome very minor bugs if any so far. Just make sure you start off fresh and let all your apps update and install before trying to use the phone heavily.